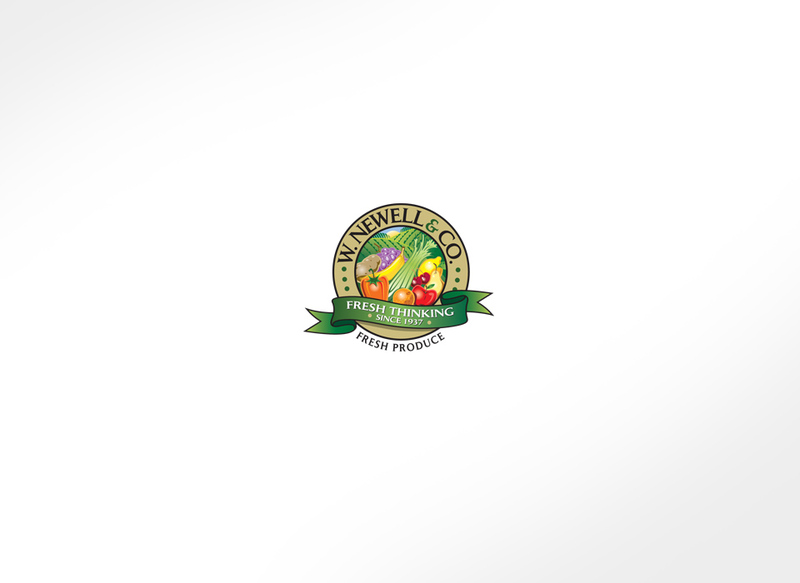 SuperValu is a Fortune 500 company and ranks as the third-largest food retailing company in the United States. 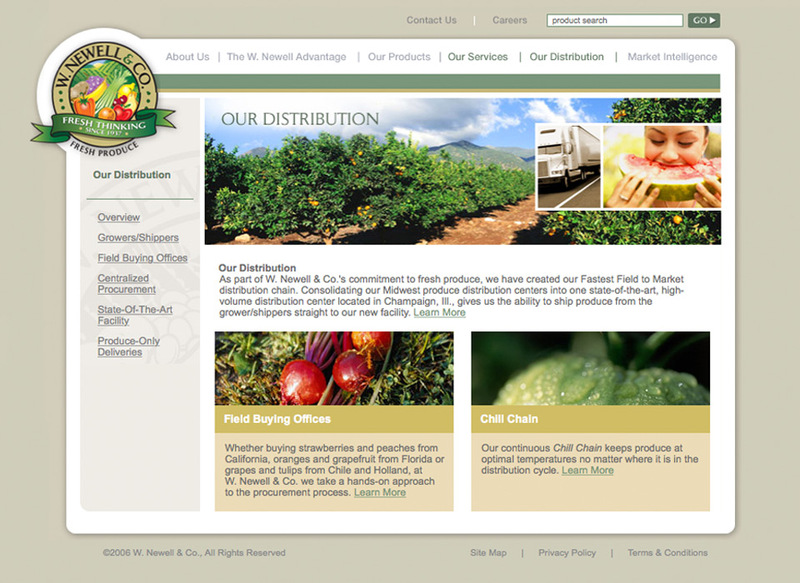 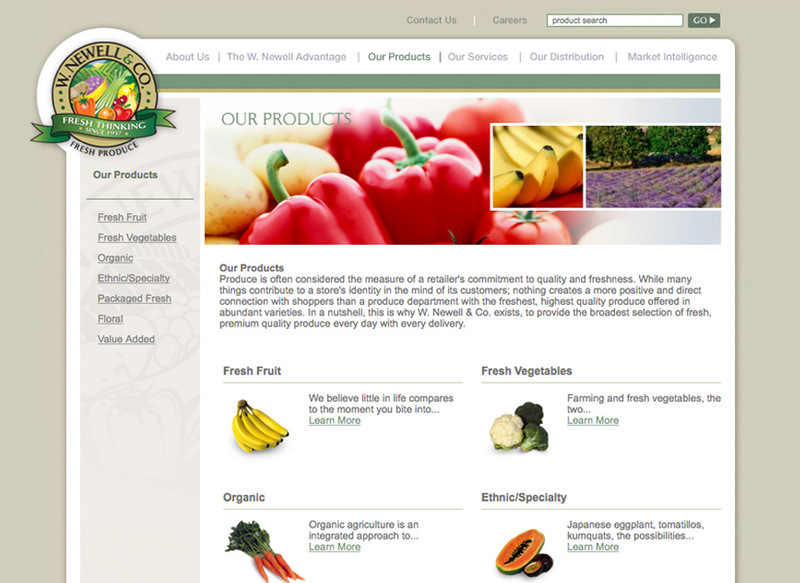 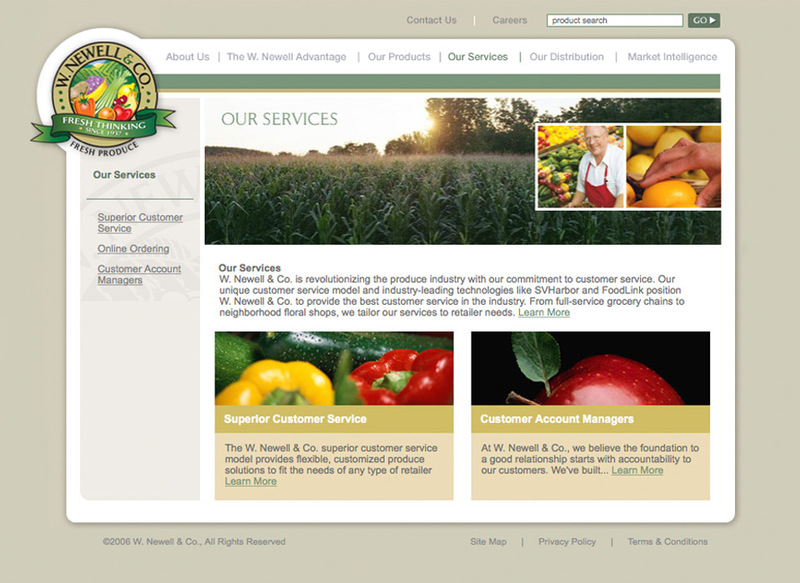 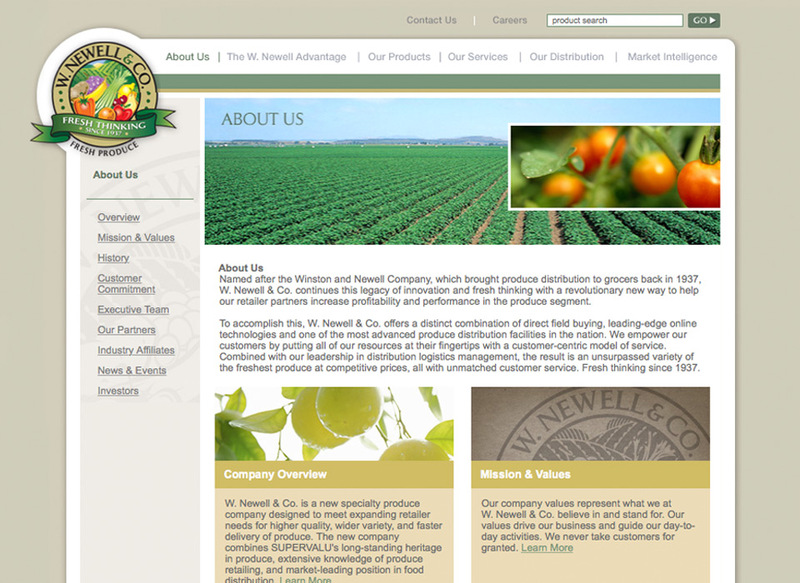 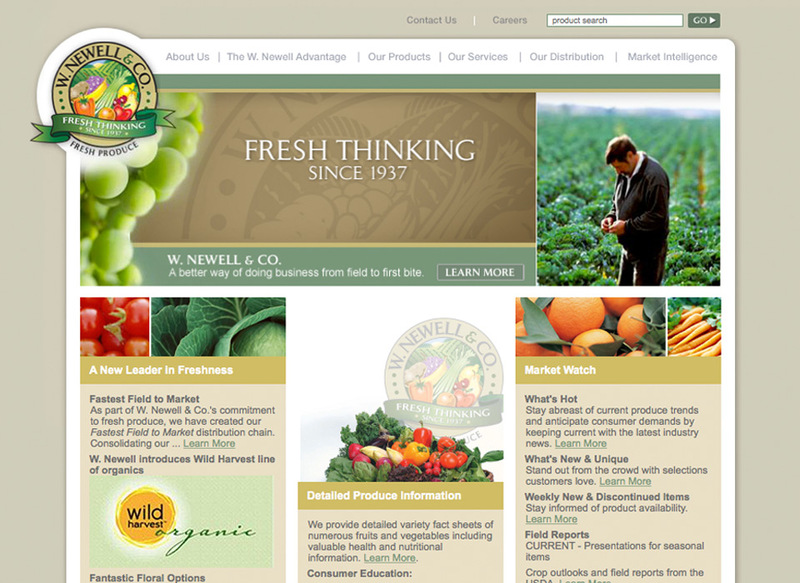 W. Newell & Co. is a specialty produce company that offers a distinct combination of direct field buying, leading-edge online technologies and one of the most advanced produce distribution facilities in the nation. 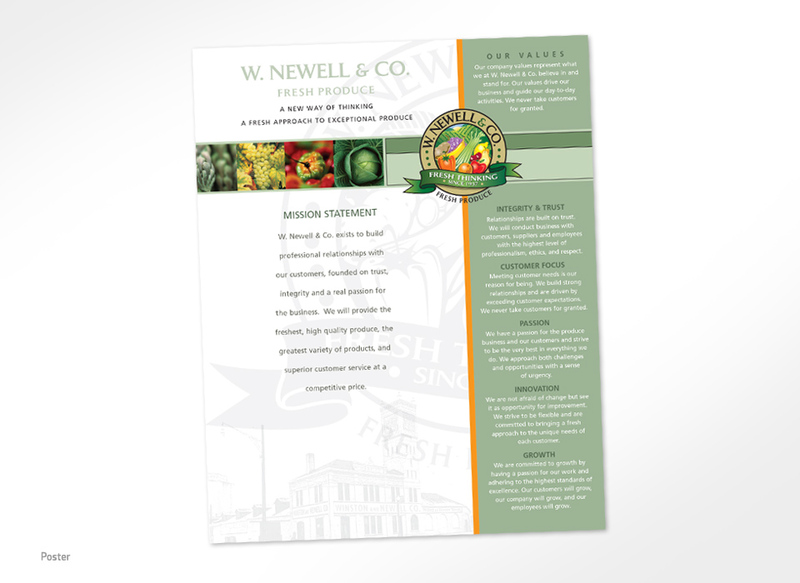 Supervalu engaged us to build a brand identity that effectively communicated the W. Newell & Company’s belief in delivering fresh product, while highlighting the rich history of the company that dates back to 1937. 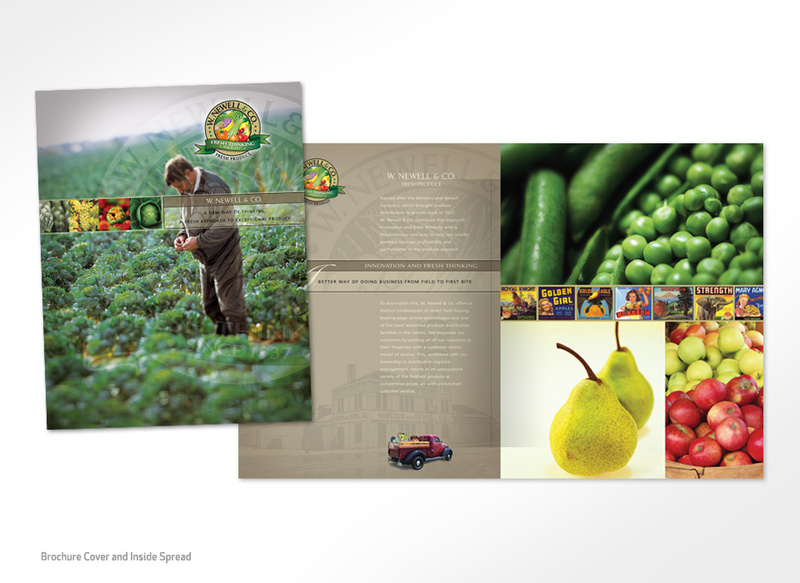 The engagement included naming, brand architecture, company logo, marketing brochure, sell sheets and a website.